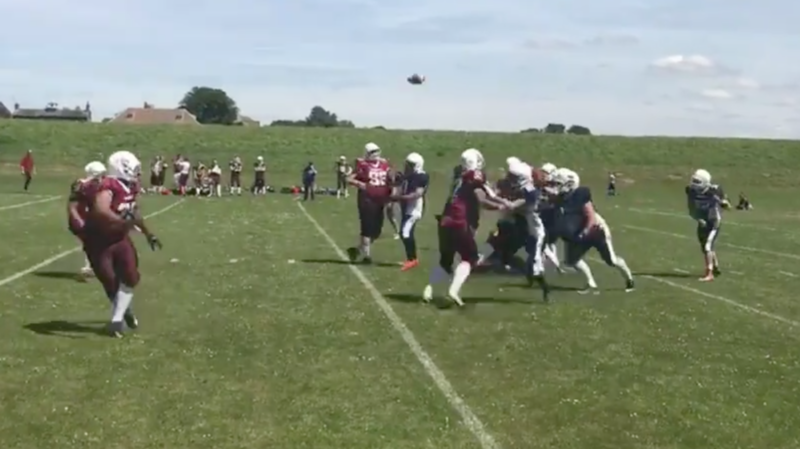 The Cambridge University Pythons American Football Club is delighted to announce another new addition to the coaching team as Andrew Evans becomes Coach Wallis’ first appointment. Andrew joins the team as a “backs” coach and brings with him a large amount of playing experience which includes time at Wide Receiver and Cornerback with Peterborough Saxons Youth Team, a move to Quarterback whilst playing at the University of Essex, and spells at both East Kent Mavericks and Ouse Valley Eagles. 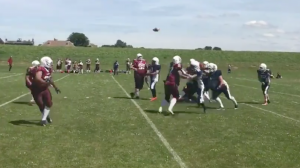 More recently, Andrew has been working with Coach Wallis at the Kings Lynn Patriots as the team’s Quarterback but also spent some time there coaching Wide Receiver’s and acting as Offensive Coordinator. When asked about why he wanted to coach at the Pythons, Andrew stated that “it’s a chance to work within a prestigious institution and help shape the mind of young athletes” as well as mentioning that he was looking forward to working with Coach Wallis, a man he describes as “very down to earth and approachable”. Particularly important for the new coach will be beating the University of Essex this coming season, the team with whom he played his Uniball. “I’d like to take the win against them (Essex) for sure” he said, “the games will be something special for me”. News of such coaching appointments means the excitement around the upcoming season for the Pythons continues to build with the regular season beginning at Coldham’s Common on November 11th.